Oh Miss Calia! It seems like yesterday that she was here for her baby photography Medina Ohio session! Now she is a busy toddler and here for her twelve month session. And super fast! Her parents warned me about her speed but honestly, I have never met a 12 month old that sits still. They are always so busy and with so much to do and learn, you can not blame them! 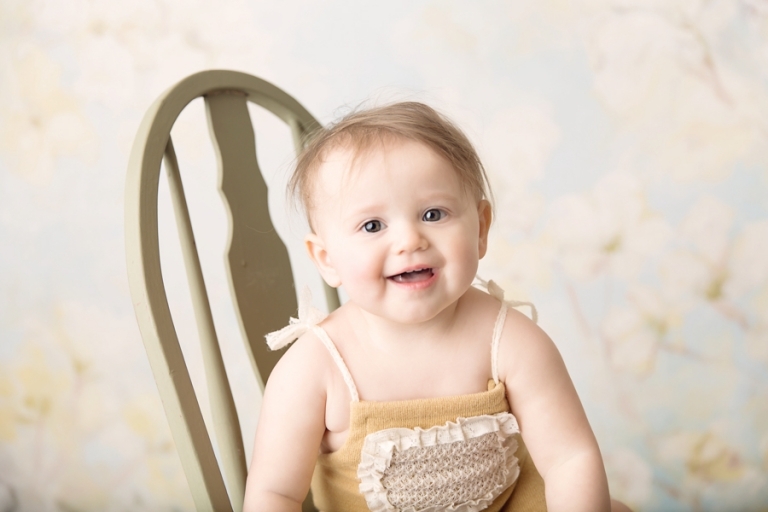 Calia came to the studio in Medina, Ohio for her 12 month session. It’s always so amazing to see their personalities! And goodness, have their opinions already formed at this age! She was not a fan of my bonnets or bucket, but that is okay! We made it work anyway. I am slightly obsessed with these floral backdrops by Intuition Backgrounds! They are so soft and feminine, perfect for little girls! And of course, this bed by Woodsy Wonders Props is a fan favorite. It’s perfect for newborns and sitters. This little stump by Juneberry is another versatile favorite. Can you tell by the look on Calia’s face that she is planning her escape? She might be fast, but I am faster. Oh that sweet little look! Oh those facial expressions! Documenting the milestones is so fun, especially since Calia will be walking soon. No doubt about that! This little lady was cruising everywhere during her session. If you are happy and you know it…..Miss Calia knows it. Oh the joy of toddlers! Love this quilt by 3 Strands Photo Props. Thank you so much for stopping by the blog! Did you know that outfits are included with your milestone session? It’s true! All we need is your little one, how easy is that? 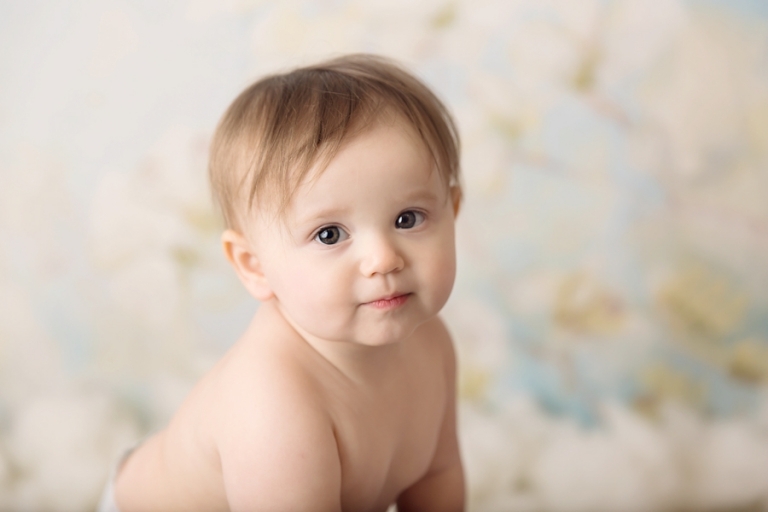 To view the portfolio or the learn about these sessions, please visit the babies portfolio page. 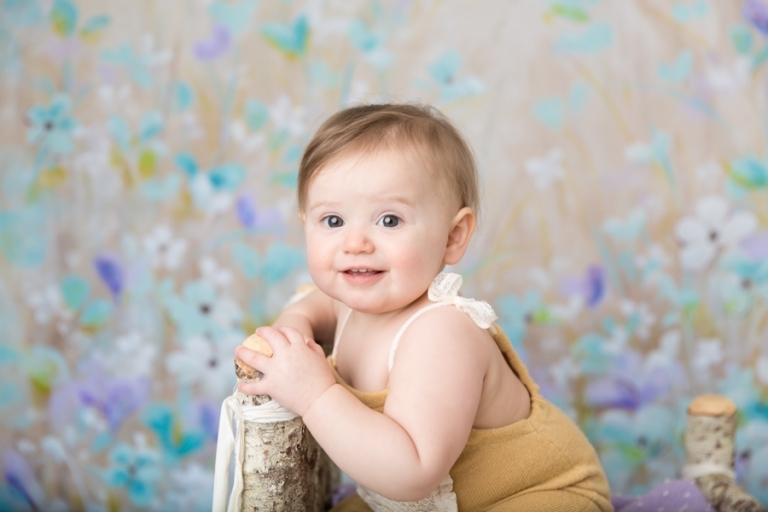 Looking for Baby Photography Medina Ohio? 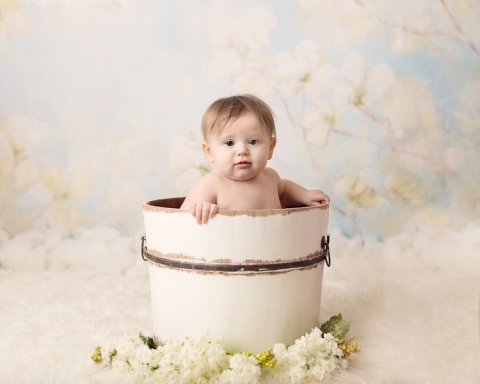 Mary Christine Photography is a Medina Ohio Photographer that specializes in baby’s first year. To contact Mary, please email mary@marychristinephotography.com or call 330-241-0424.